As a child, Cobain was artistic and had an ear for music. At the age of eight, Kurt’s happy childhood was startled when his parents divorced. Separated from his younger sister too, he found solace in music after his uncle gave him a guitar as a birthday gift at the age of 14. Having a troubled youth filled with depression drugs and alcohol,, music seemed to be the only positive aspect in Kurt's adolescent life. In 1987, he formed his band Nirvana, Kurt Cobain was the frontman for Nirvana and became a rock legend in the 1990s with albums 'Nevermind' and 'In Utero.' Kurt Cobain revolutionized modern rock-and-roll culture and went from an unknown to icon of a generation. Cobain became the face and persistent icon of alternative rock after writing the lyrics of Smells like the Team Spirit for Nirvana’s 1991 album Nevermind. He was considered as a musical genius who brought punk rock into the mainstream which is extensively popular in the modern age. The song, established Cobain as an exception songwriting talent of the era and he attained worldwide stardom overnight. Kurt Cobain’s ability to translate his emotions onto paper allows his fans to relate, understand, feel, and recall when they felt as Kurt did. Kurt Cobain had a rare talent in that he was able to make those who do not fit society’s norms feel accepted. For young adults with the yearning to one day become a musician, Kurt Cobain journey to fame is inspirational. Even though Kurt Cobain’s life span is now only a part in history, his music will continue to inspire the music industry forever. After Kurt’s death, rock bands looked to Cobain as a reference point to making a new kind of music. Far-ring away from the head banging style, many bands began to use detuned guitars and introspective lyrics into their music. The music industry saw the effect Kurt’s music had on people and within a few years the rock genre had done a complete 360 with the introduction of dynamic and emotionally volatile songs. 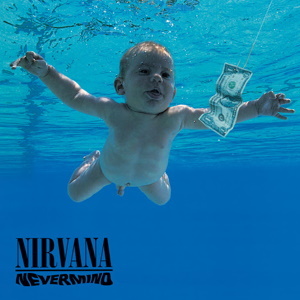 To this day, we can see correlations between new, up-and-coming alternative rock bands and Nirvana. "Cobain changed the course of where the music went," writes Vernon Reid, formerly of Living Colour, in a tribute to Nirvana. "There are certain people where you can see the axis of musical history twisting on them: Cobain was pivotal." The songs he wrote and recorded with Nirvana -- "Smells Like Teen Spirit," "Lithium," "Come as You Are," "In Bloom" and others -- still play constantly on rock radio, reminding listeners of the enduring power of his music and lyrics.